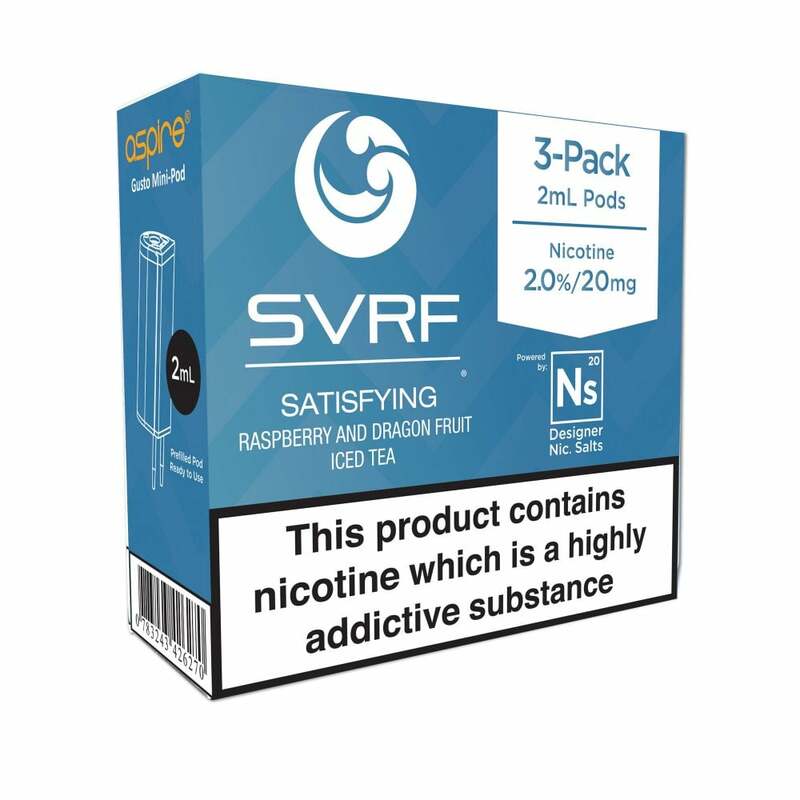 SVRF Satisfying is a unique iced tea e-liquid, and is now available in nic salt pods for the Aspire Gusto Mini. SVRF Satisfying Gusto Mini pods are full of tangy raspberry and dragon fruit flavour with an iced tea twist, delivering a sweet and satisfying all-day vape. Love this flavour, the pods are easy to use and quick to change over once empty.